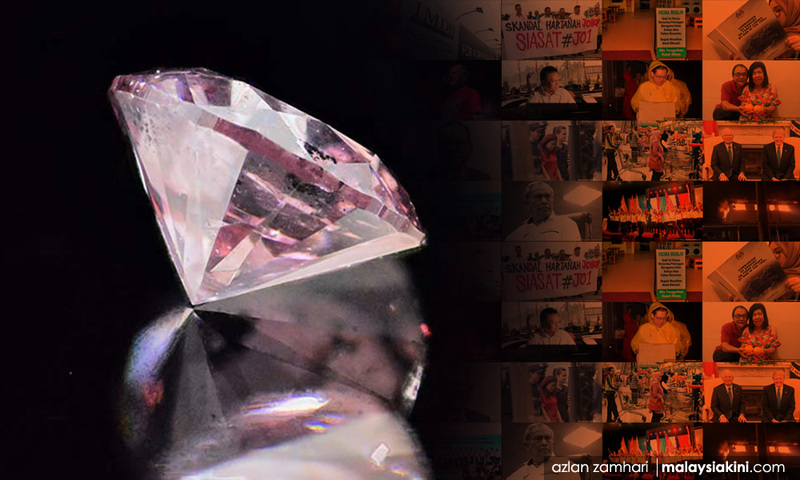 A UAE prince had purchased the 22-carat pink diamond pendant, which is linked to the 1MDB probe, for Rosmah Mansor, according to her husband and former premier Najib Abdul Razak. 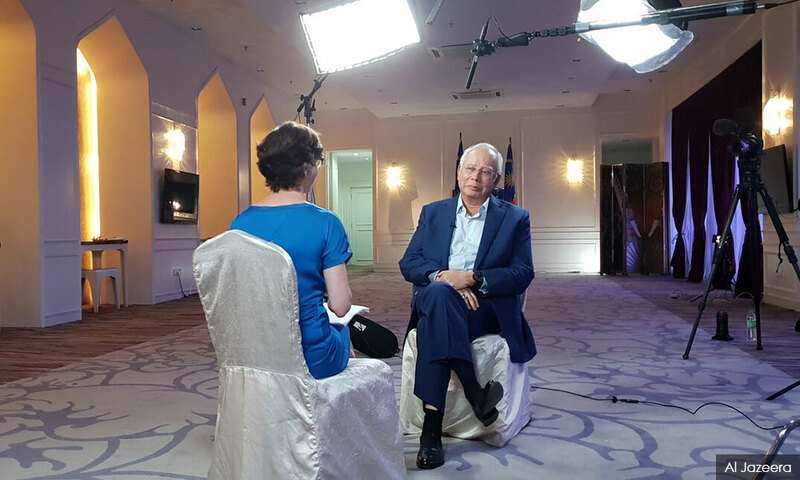 Speaking to Al Jazeera for its "101 East" programme, Najib identified the prince as Sheikh Mansour Zayed, the deputy prime minister of UAE and vice-chairperson of UAE's International Petroleum Investment Company. When the programme's host Mary Ann Jolley said that US$27 million originating from 1MDB was used to purchase the pendant for Rosmah after Najib returned US$620 million to an account linked to Jho Low, the former premier grew "visibly irritated". Najib said Sheikh Mansour was a "close associate" of Low, who is wanted in Malaysia and other jurisdictions over 1MDB dealings, and that Rosmah never received the diamond. "It's a matter of dispute what happened to the pink diamond. So let's not jump to conclusions," he added. According to the US Department of Justice (DOJ), the pink diamond was bought by Jho Low, using US$620 million which Najib had returned to his "Saudi donor" which was actually a company controlled by Low's proxy Eric Tan Kim Loong. The DOJ claimed that Rosmah and Low had met the jeweller who designed the diamond necklace on a yacht in Monaco on July 2013. When pressed on this, Najib replied: "We didn’t know, as far as we were concerned it was a gift from Sheikh Mansour who would know where it came from and who paid for it. We wouldn't know! We did not know the value of the present." Meanwhile, Najib also revealed that Sheikh Mohamed Zayed – Sheikh Mansour's brother and the UAE crown prince – was a funder for his stepson Riza Aziz's movie studio Red Granite. "Crown prince Mohammed Zayed told him in my presence that he was going to invest in his movies. We assumed that whatever investment that is going to come from Abu Dhabi to fund it would be a loan. "And my stepson was prepared to pay back every single cent that was given to him as a loan because it was a loan and he was prepared to pay back," he said. As for the RM2.6 billion "donation", Najib said he did not identify the source, believing it was a genuine donation from the Saudi royal family. "The question is when I received the funds, was I aware of the source of the money… or whether the source of the money is in dispute as to who owns the fund, certainly in my capacity I would not have access to banking knowledge. "Because whoever owns the fund is protected by the secrecy of the banking laws so when I received the funds, in all honesty, I thought it was a genuine donation and at that particular time, the knowledge that I had was based on a conversation with King Abdullah," he said. The interview would be aired tomorrow at 11.30am Malaysian time with repeats on Monday and Tuesday. The programme can be viewed online after the first broadcast.